Ian is recognised internationally as one of the leading authorities on the interpretation of scientific evidence within the context of a criminal trial. He was a member of the Forensic Science Service from 1966 until its closure and during his career he worked in many different roles and on a wide range of evidence types. He is a qualified statistician with a Doctor of Science degree from the University of Strathclyde and an Honorary Doctor of Science degree from the University of Lausanne – both doctorates awarded for his contributions to the science of evidence interpretation. 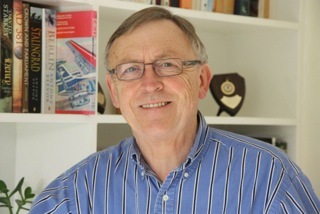 He has published over 100 papers and has been the recipient of five PW Allen Awards from the Forensic Science Society and was invested as an Honorary Life Fellow in 2007. He was awarded the Adelaide Medal of the International Association of Forensic Sciences in 1997 and the Chairman’s Award of the European Academy of Forensic Science in 2000. DNA profiling: Ian became involved with the statistics of DNA profiling early in the pioneering days at the Central Research Establishment. Over 40 of his papers are in this field and he is, with Professor Bruce Weir of the University of Washington Seattle, joint author of a book on forensic DNA statistics, Evett IW and Weir BS. Interpreting DNA Evidence: Statistical Genetics for Forensic Scientists. Sinauer 1998, ISBN 0-87893-155-4. He has worked extensively on casework, primarily in collaboration with Sue Pope in the interpretation of complex DNA mixtures. He has carried out research into continuous methods and was involved with the development of various software packages while in the FSS. Fingerprints: In 1988, Ian carried out a review of the 16 points fingerprint standard together with Dr Ray Williams, formerly Director of the Metropolitan Police Forensic Science Laboratory. This work was published in 1996 and has had far-reaching consequences. More recently, he worked with Professor Cedric Neumann (now at Pennsylvania State University) on a continuous model for quantitative expression of evidential weight in fingerprint comparisons. This work was honoured by becoming a Read Paper of the Royal Statistical Society, Neumann C, Evett IW and Skerrett J. Quantifying the weight of evidence from a forensic fingerprint comparison: a new paradigm (With discussion). Journal of the Royal Statistical Society (Series A). 175 (2012); 371-415. Casework Assessment and Interpretation: Ian was a founder member of a team within the Forensic Science Service that carried out a project, known as Case Assessment and Interpretation, that created a new paradigm for the role of the forensic scientist within a Criminal Justice System. The work of this team has been encapsulated in a series of papers that have gained international recognition. Citations for all of the papers can be found in: Jackson G, Jones PJ, Booth GA, Champod C and Evett IW. The nature of forensic science opinion – a possible framework to guide thinking and practice in investigation and in court proceedings. Science and Justice 46 (2006); 33-44. The first two were jointly granted the EAFS award of 2000 for the best publication in the forensic science literature over the preceding three years. Two of the papers received the PW Allen award for best paper of the year in Science and Justice. The principles of balance, logic, robustness and transparency were adopted by the Association of Forensic Science Providers as its standard. Statistics and databases: Ian became closely involved with database creation within the FSS for several evidence types including glass, fibres, footwear and DNA. With regard to the last of these, he was closely involved with the evolution of the National DNA database in its formative years and did much work on: database cleaning; near-miss reporting; familial searching; adventitious matches; and searching for contributors to mixtures. More generally, Ian is concerned with the logic of expert opinion across all of the disciplines that bring science to the courts. New technologies are resulting in a wide range of new evidence types, including: mobile phones, computer crime, CCTV images, gait analysis, anthropology, palynology etc. Scientists and technicians who are of undoubted proficiency in those fields tend to have a limited grasp of the requirements of the forensic milieu and sometimes struggle to present their evidence in a robust and logical manner. No expert opinion should be taken at its face value, particularly if it is shrouded in phrases, such as “consistent with” and “cannot completely exclude”, that tend to obfuscate rather than clarify. The “what does it mean” question has led to Ian’s providing statements for the Court of Appeal on several occasions.